Easily one of my favourite gadgets from 2017, the Quarq ShockWiz has become an invaluable tool for testing bikes and getting their suspension dialled in. And by default, it’s also helped me to learn a lot more about my suspension set-up too. 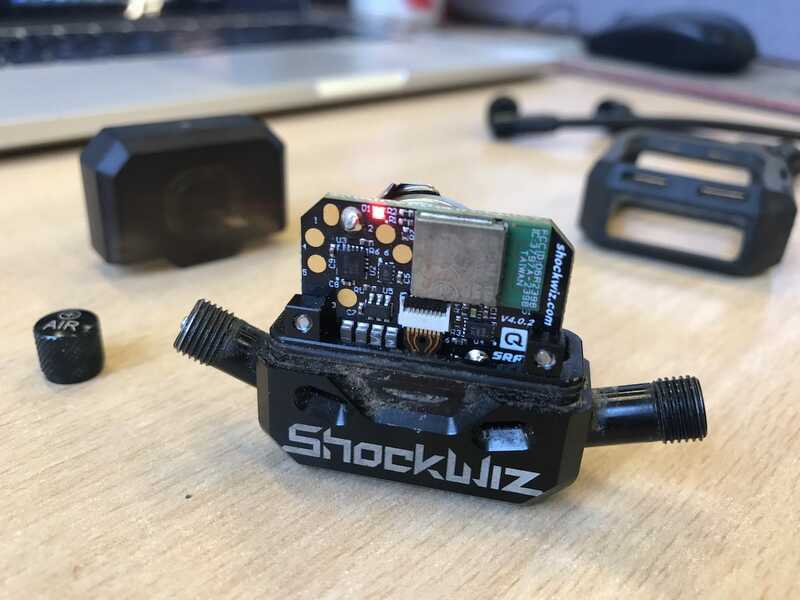 Designed to strap directly onto your air-sprung fork or shock, the ShockWiz is a small, electronic gizmo that measures real-time suspension data. It then pairs wirelessly with your smartphone, where an app provides detailed tuning recommendations. …or fit to your air-sprung fork. 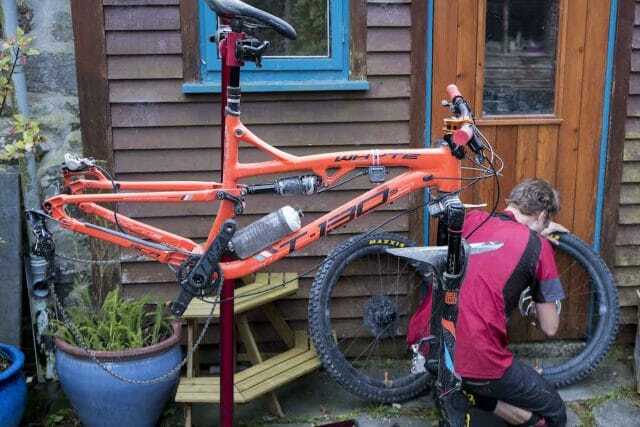 Given the sheer number of adjustments available with modern forks and shocks, there’s certainly plenty to fettle with. 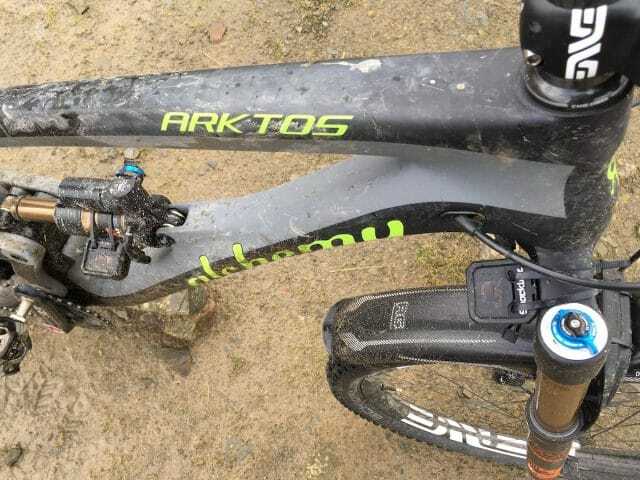 But unless you’re a suspension engineer or a hyper-sensitive World Cup athlete, this adjustability also means there’s a greater chance of it all going a bit Pete Tong. 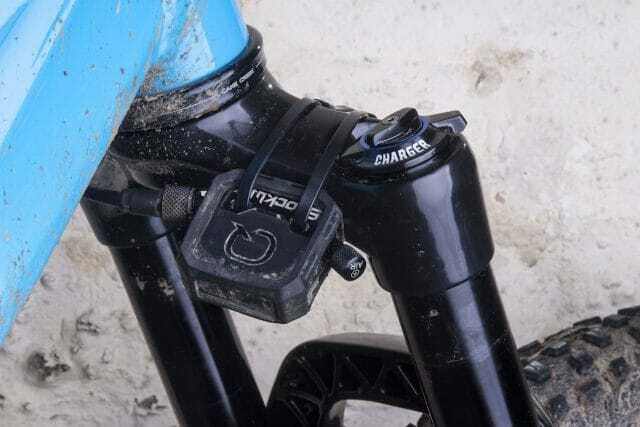 Identifying just how important suspension set-up can be to the overall ride experience, an Aussie engineer called Nigel Wade launched the prototype ShockWiz on Kickstarter in 2015. 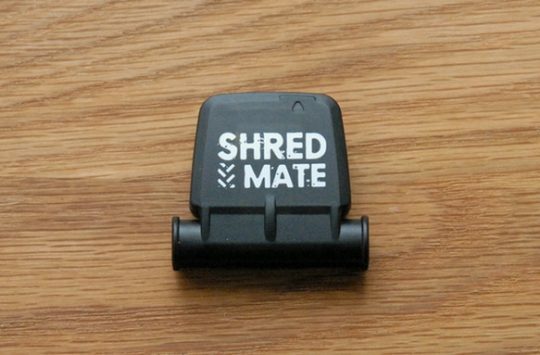 With nothing else on the market quite like it, the Kickstarter campaign garnered significant attention. SRAM realised this potential and acquired Dusty Dynamics and the ShockWiz (we reported on this acquisition back in 2016), keeping Wade on as full-time member of staff to help refine the ShockWiz and bring it into mass production. We were lucky enough to get world exclusive first ride with one of the very first pre-production Quarq units in November of 2016 (you can read that story here). After the first batch went to all those who supported the original Kickstarter campaign, production units hit the shelves a couple of months later in early 2017, and we’ve been testing a pair ever since. Underneath the hard plastic cover, you’ll find the electronic gubbins and a CR 2032 battery. 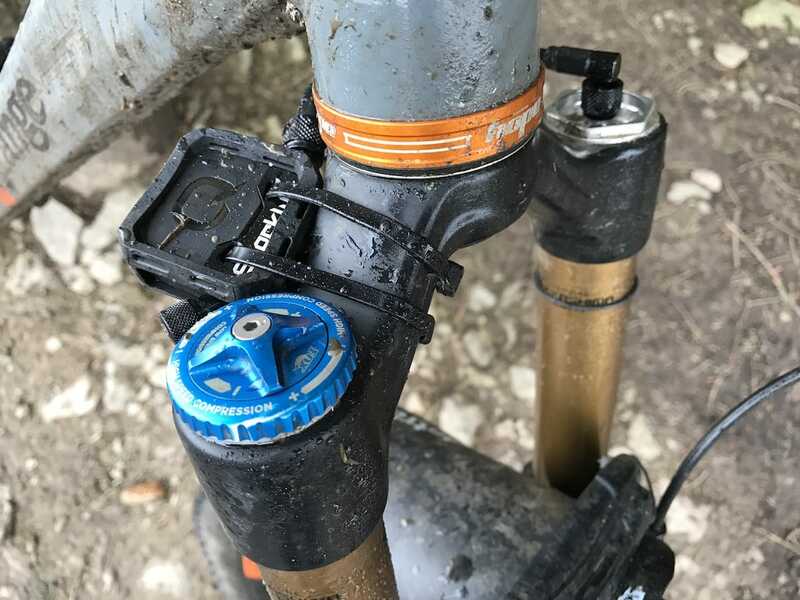 With a hard plastic casing that’s both water and dust proof, the compact ShockWiz unit has held up to the typical barrage of mud and rain expected from a year’s worth of riding in The Grim North™. A small CR2032 battery inside offers months of runtime (we’ve changed the battery in each unit just once in that 12 month period), though the ShockWiz detects when you’re not riding and automatically shuts down to conserve juice. That said, it’s best to remove the batteries if your bike is going to be bouncing around on the back of your car rack for a few hours. Inside the box you get two different length hoses: a longer hose for forks, and a shorter hose for shocks. The ShockWiz is wrapped in a protective rubber sheath, which is then cable tied unobtrusively to your fork or shock. 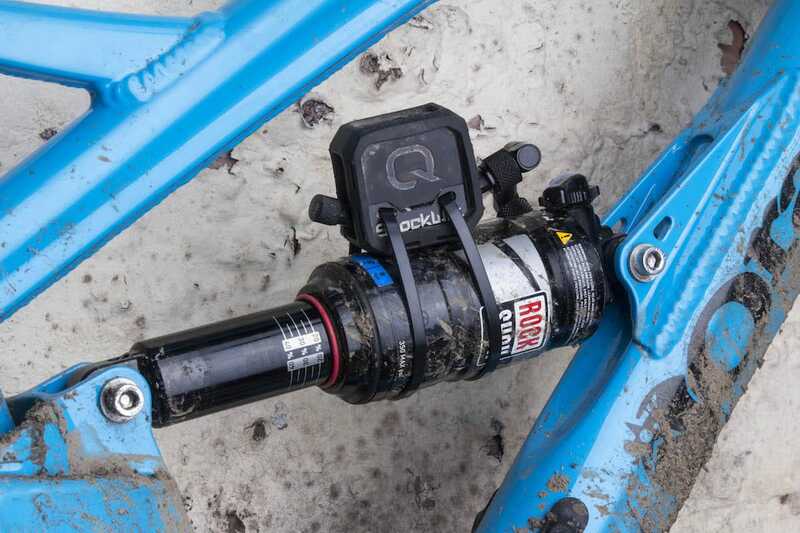 Although Quarq falls under the SRAM umbrella, the ShockWiz is designed to work with more than just RockShox products. In fact, save for some specific items like RockShox Dual Position forks, Fox TALAS forks, and the MRP Ramp Control cartridge, the ShockWiz will work with most air forks and shocks on the market. Double-ShockWiz testing on the Alchemy Arktos. 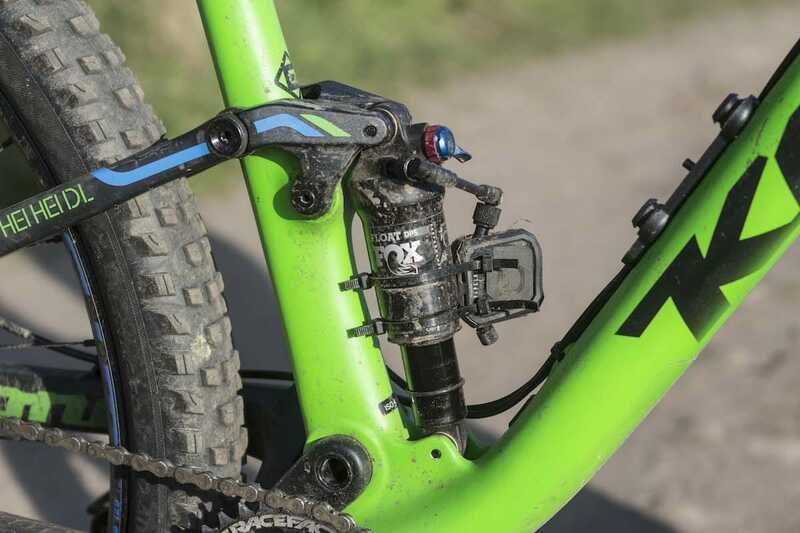 Dialling in high-speed and low-speed compression damping on a Fox 36 Factory Series fork. The Kona Hei Hei has a dinky little shock, but the addition of a volume spacer improved the suspension out of sight. Once mounted, you’ll need to download the free ShockWiz app onto your smartphone, pair it with the ShockWiz via Bluetooth 4.0, and then enter the set-up wizard in the app. The process requires you to depressurise the fork/shock in order to measure both full extension, and full compression of the travel. 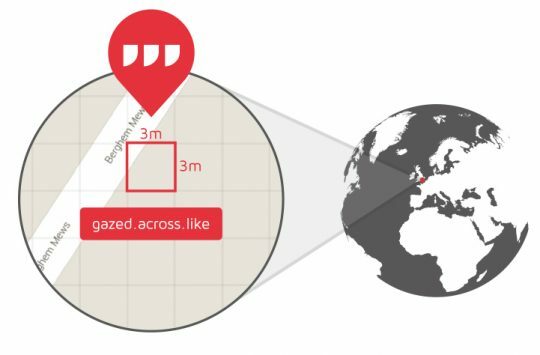 Once the ShockWiz knows what the compression ratio is (basically how squished the air molecules end up at full travel), it can then work out how much travel you’re using, and how quickly you’re using it. 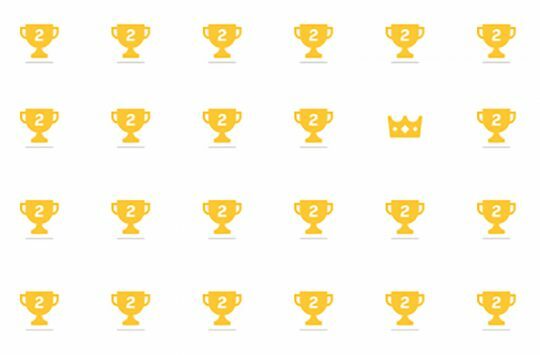 Inside the app, you’ll have the option to select from several different tuning ‘styles’, including Efficient, Balanced, Playful and Aggressive. 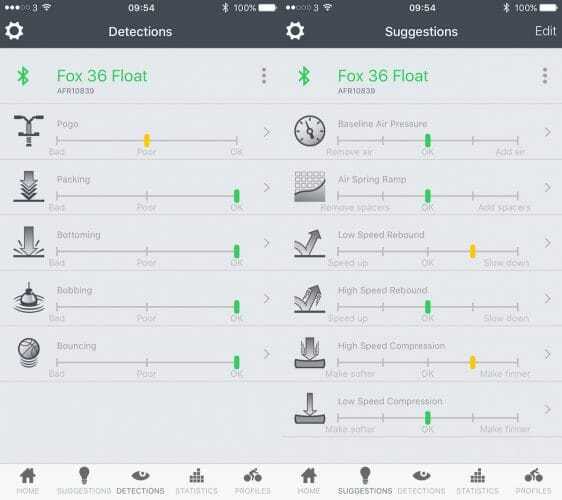 Depending on which tuning style you’ve selected, the app will provide different recommendations. For my riding style, I’ll typically select Balanced for cross-country bikes, and Playful for longer travel bikes. Then all you need to do is ride. 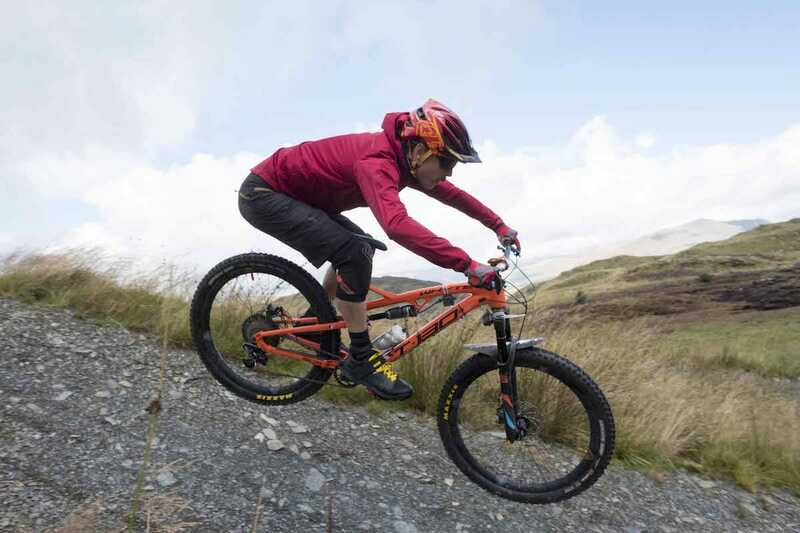 The more riding you do on more varied terrain, the more accurate the recommendations become. 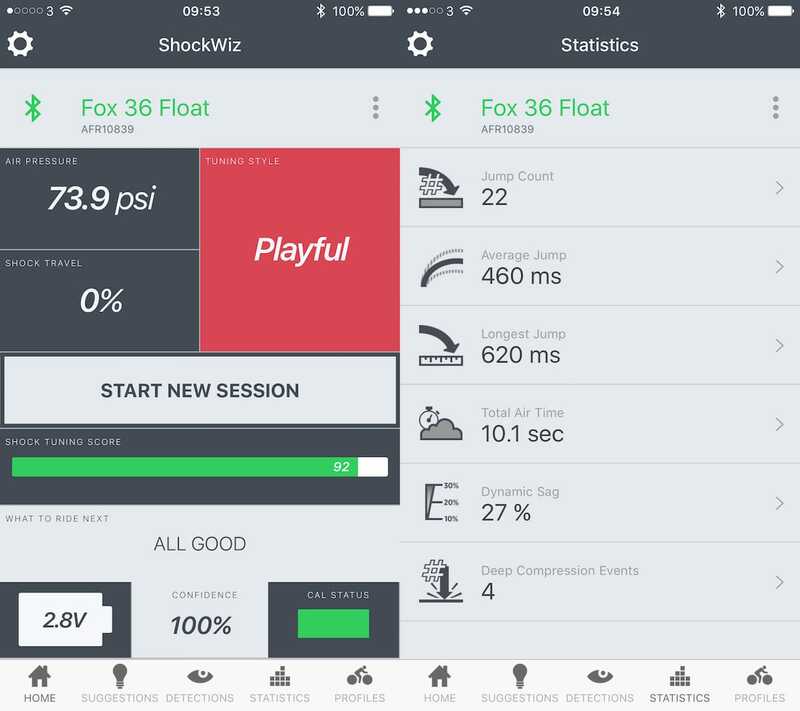 Once the ShockWiz has sufficient data, it’ll detect whether your suspension is bobbing, packing-down, or pogoing. You’ll then get recommendations on how to rectify it, such as slowing down the rebound damping, or removing a volume spacer to reduce bottom-out resistance. In use, the app is impressively user-friendly given how complex the ShockWiz unit is. I mean, that thing is sampling air pressure changes at 100 times per second! As for the results, I’ve found that most of the time the ShockWiz and I are on a similar page, with it only requesting a few clicks of rebound here, or a little less air pressure there. The ShockWiz gives you an assessment of suspension performance, and then a detailed list of tuning recommendations. Those small changes have come with noticeable improvements in performance, but in some instances, they’ve downright transformed a bike for the better. For example, we messed around with the volume spacers inside the Float X shock on the back of the Alchemy Arktos that Andi and I tested, and it turned that bike’s performance around completely – check out the review to see what I mean. The ShockWiz has become an invaluable suspension tuning tool. In general, I’d say I’m reasonably experienced with suspension set-up, and so the ShockWiz and I rarely have disagreements. But there are those times when you know something doesn’t feel right, but you’re not sure exactly which adjustment dial needs turning to make it better. And when I’m concentrating on line choice and avoiding big rocks, I’m just not a good enough rider to be able to think about my fork’s high-speed compression damping at the same time. Having the ShockWiz measure that for me has offered an incredible advantage for getting my forks and shocks set up correctly. The best bit is that I’m getting better experienced at feeling the difference in the first place too, so I’m able to get to that sweet spot more quickly on my own, without the ShockWiz’s assistance. This is a highly sophisticated tool that offers data acquisition that up until recently, was out of reach of everyday riders. Sure, at £359 it isn’t what you’d call cheap. But putting things into perspective, it’s still less than a SRAM XX1 Eagle cassette. And if you buy one between a few riding mates, we reckon that’s money well spent.